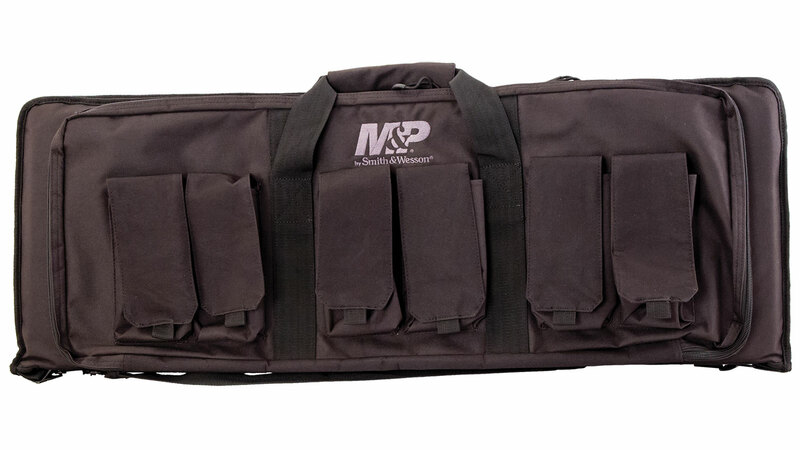 M&P Accessories 110024 Pro Tac Rifle|Shotgun Case Nylon Smooth 36 x 13 in. x 3 in. in. SmithWesson MP gun case is designed with quality and durability in mind. It is built to hold up under extreme use in harsh conditions these cases and features a durable ballistic fabric heavy duty hardware oversized zippers high quality hook loop closures and thick nylon strapping.